As soon as we become parents, we also become the world’s most discerning customers. Enriching classes, yummy meals, engaged doctors, coffee shops with great espresso and tip-top kiddie toys — these are the things that get you excited, and why not? We all want the best opportunities for our children, and as busy families we need reliable help and satisfying communities to support us. That’s why ParentMap asks you every year which resources, camps + classes, shops + services, grub, groups and professionals totally blow you away. We know that you know where the family dollar is best spent and service goes beyond bare minimum to really improve the family experience. We’ve tallied your votes, read your (passionate!) reviews, and checked out all the places you love best. 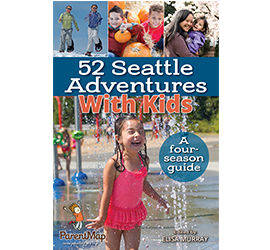 Because you, the parents of the Puget Sound region, do know best. We are honored to present your 2014 Golden Teddy Award winners and finalists. Navigate the category icons below (or flip through the Golden Teddy Awards/Family Directory print issue online) to find your favorites, discover new secrets, share with your friends — because, besides being discerning consumers, you are also the world’s best sharers when it comes to stuff you love! Golden Teddy 2014 was written by Jen Betterley, Nancy Chaney, Elisa Murray and Natalie Singer-Velush.